TL;DR: Latin words ending in -que should be accented on the syllable before -que only if that syllable is (or has become) heavy; otherwise, the word should retain its original accent. If this sounds new to you, that’s probably because you’ve been following Allen & Greenough and other nineteenth century scholarship. The rules of accent in Classical Latin are usually very simple. Almost all words follow the formula of the ‘Penultimate Law’, which states that the accent in multiple syllable words falls on the second-last (the penultimate) syllable if this is of heavy quantity, and otherwise on the third-last (the antepenultimate). But the enclitic –que (and the other enclitics, –ve, –ne, –ce) complicates these rules. Posted in Ancient Language, Scholarship and tagged accent, Aeneid, enclitic, ictus, Latin, metre, poetry, pronunciation, que, scansion, Vergil, Vox Latina. Bookmark the permalink. 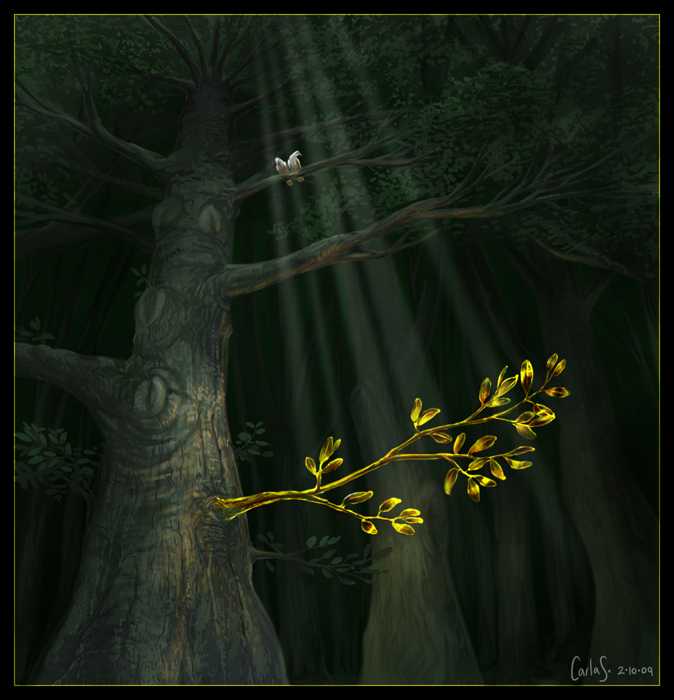 The golden bough, ticket to the underworld in Aeneid VI. I’ve been captivated once again by the wonderful style and substance of Vergil’s Aeneid. But this year I’ve been particularly nerding out because my three Year 12 Latin tutoring students are all studying book VI, the journey to the Underworld, which was the book I studied when I was in Year 12. Posted in Tutoring and tagged Aeneas, Aeneid, Book VI, catabasis, descent, katabasis, Latin, literary analysis, Underworld, Vergil. Bookmark the permalink. I’m sorry that I missed an update in April, but there has been at least one reason for that. 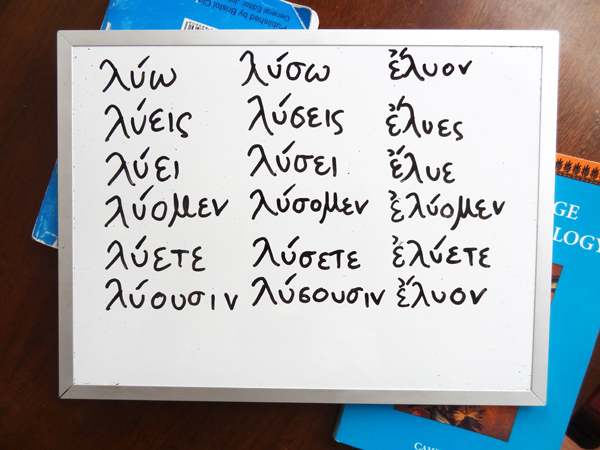 I’ve been involved in a pilot program to introduce Latin to a public primary school, and so far it has been a blast. Here’s a song I sung to the children yesterday on my guitar. First we learned the numbers one to ten, and then played a game. I say “unus”, and someone else says “duo” and so on in the sequence, but if two people say the next number at the same time, we have to start again at “unus”. It was fun and a good way to get them to participate in saying the numbers aloud. Posted in Ancient Language and tagged Ancient Rome, counting, decem urnae, education, grammar, Latin, Minimus, numbers, Primary, school, singing, song, syntax, teaching. Bookmark the permalink. 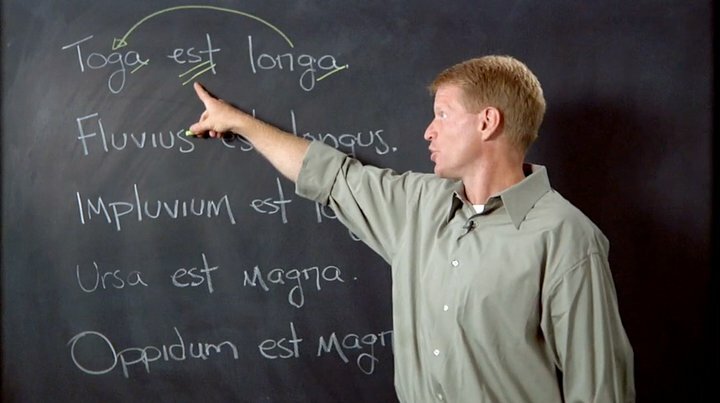 I learned Latin in high school, I loved it, and now I’m a private tutor for high school Latin. 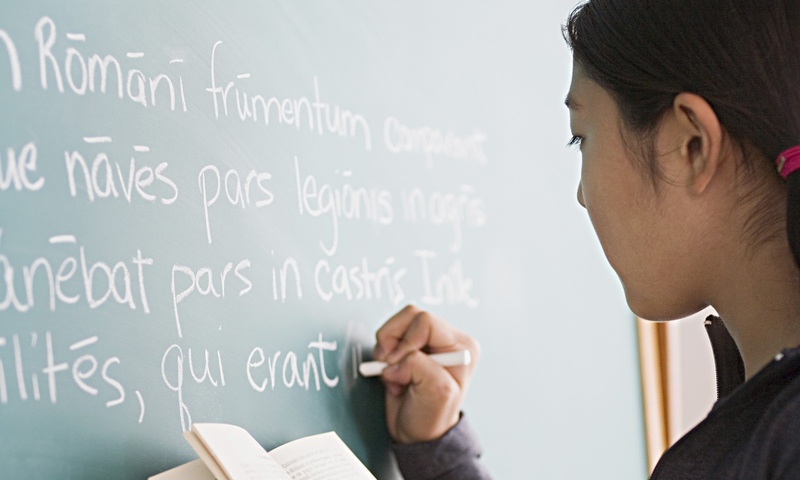 But when I tell people what I do, the question that so often comes up is this: Why should schools still teach Latin? I’ve heard many answers to that question over the years, and while they are good reasons, a lot of them involve things which have personally not affected me greatly. Latin is the mother of the Romance languages, so it should have been easier for me to learn French, Italian, Spanish and Portuguese. But I have not yet studied those languages, so I haven’t had the chance to benefit in that way. Latin appears a lot in law, but I’m not a lawyer. A lot of medical terms are Latin and Greek based, but I’m not a doctor. Some Catholic masses are conducted in Latin, but I’m not Catholic. I can read the species names of many animals, but I’m not a taxonomist. So does that mean Latin has been wasted on me? Or on many students, for that matter? Far from it. I believe that Latin is an excellent force for good in education. It’s more than just a party trick, or a hook to memorise technical vocabulary, or even a roundabout way to improve your Romance languages. Latin offers so much more.